Hello lovely Friends! 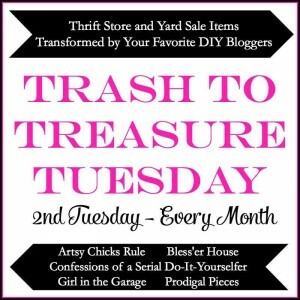 It’s my favorite day of the month…Trash to Treasure Tuesday!! 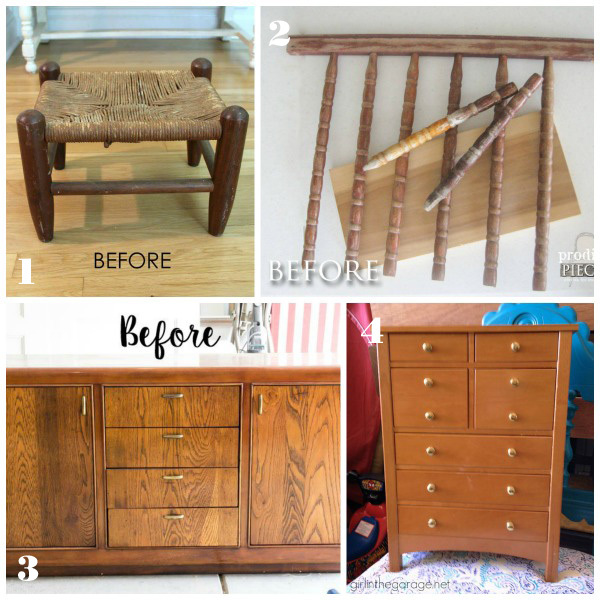 The second Tuesday of every month, four of my favorite trash to treasure makers and I get together to bring you a fabulous makeover on the cheap, and you know that’s my absolute favorite! I love the height of these tables to use as regular side tables. I was wandering through Michaels one day when I came across Americana Chalky Finish Paint by Deco Art (affiliate link). I have wanted to try it and with my 50% off coupon, an 8 ounce jar only cost me $5. I planned to use it on one of my March Madness projects, but just couldn’t decide what to test it out on. Then the other day I pulled this little table out to give it a try. It’s a minty green color, and a bit different than the hues I normally choose. 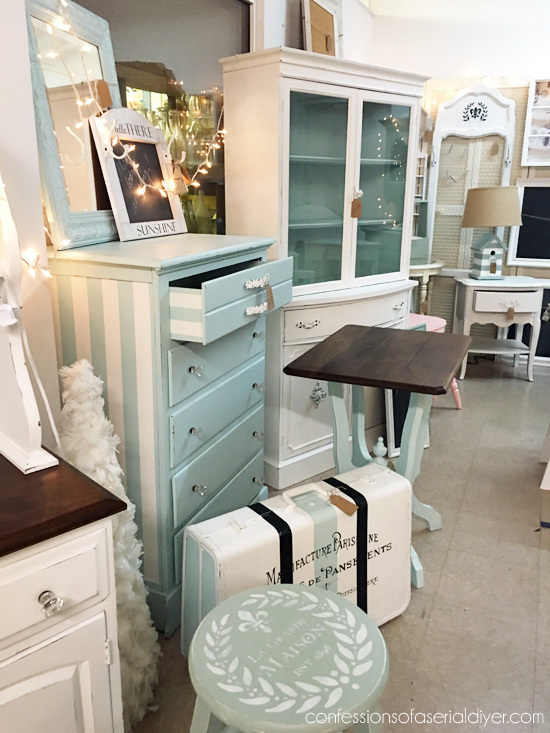 This makes me think of a sweet guest room in a quaint little cottage. With a vintage floral quilt on the bed. This only took two coats, and it went on nicely. I had originally done a two toned look with an ivory color on the top, but I quickly decided I didn’t like it and painted the whole thing in the green. I sanded then sealed with Annie Sloan’s clear soft wax. 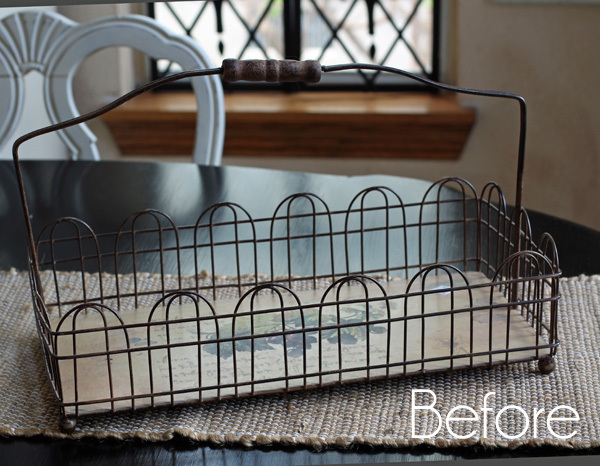 I love the original pulls that came with this little table, but I wanted something less formal, and more fun. I had these that I found at Ross a couple of years ago but just never found the right project for them. Painting this little piece gave it a whole new personality! Don’t go anywhere! 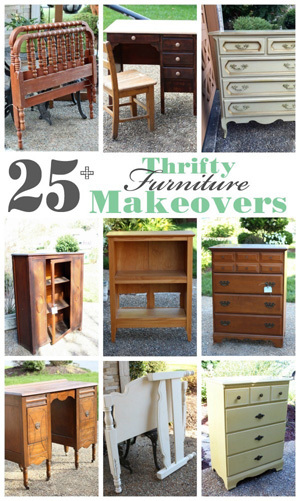 My fabulous thrifty makeover friends are sharing trash to treasure transformations of their own today! 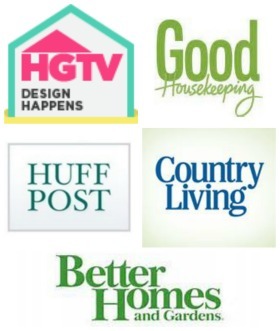 Check out what they did with these finds at the links below! You picked a wonderful color! Very cute, you continue to amaze me with the things you re-create. Can’t wait to see the basket makeover on Thursday. Thanks for your inspiration!! Love it! The color and you’re absolutely right about the height of these beauties. It’s perfect, Christy! Hi Christy! Yes, the table looks beautiful in the shade of green you chose. Did you do the Vaseline thing or just sand a little in spots to show a little bit of the wood that comes through? The knobs are beautiful too. Matter of fact, they go perfectly. Looks great, love the color of it and those little flower pulls icing on the cake!! Good color choice, very flexible. 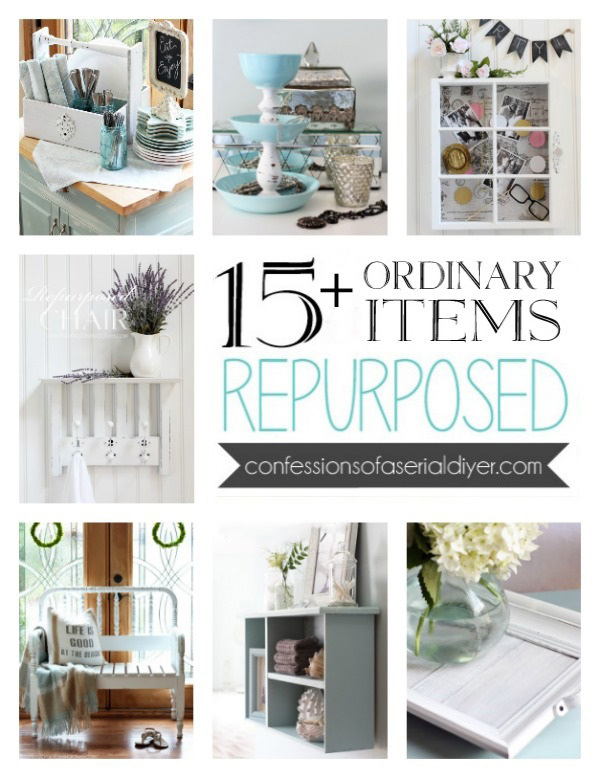 It could go with retro, vintage or coastal décor and more. The knobs are perfect, its always good to have a stash !! Super cute. Love this color! It’s Tuesday! That means I’m headed out to the thrift stores now. 😀 Gotta keep my eyes open for knobs. Glad you like it, Angelia…green is new for me! Hope you found some goodies today! Love, love, love!! I do have a question, did you take the sewing machine out and paint the inside? Did you leave the hole? Just wondering because I have one similar here and was wondering if you left the hole in it? This came at a perfect time, thank you for the inspiration!! I’m a lazy diyer too, Christy. I will probably do the same thing but take the machine out. It is so heavy. Thanks again for the inspiration!! Keep up the great work, love it!! So sweet Christy! 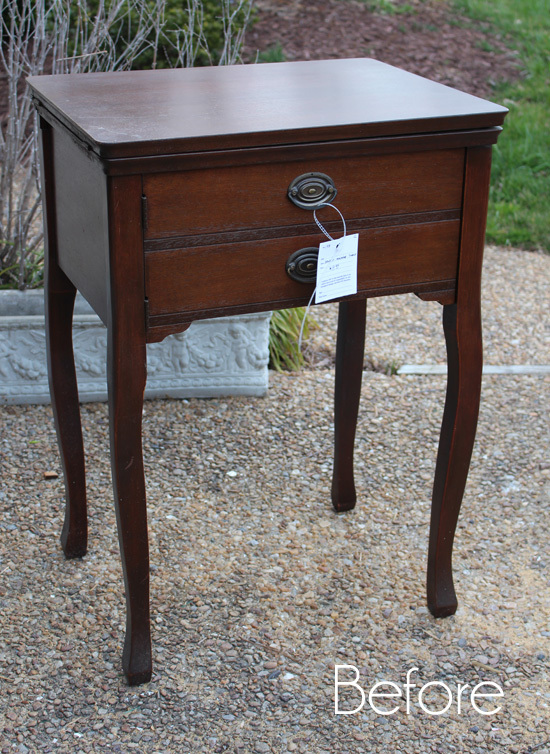 I have a sewing table (but with the iron bottom) that I need to get busy on! 🙂 LOVE the color. Thanks, Nancy! 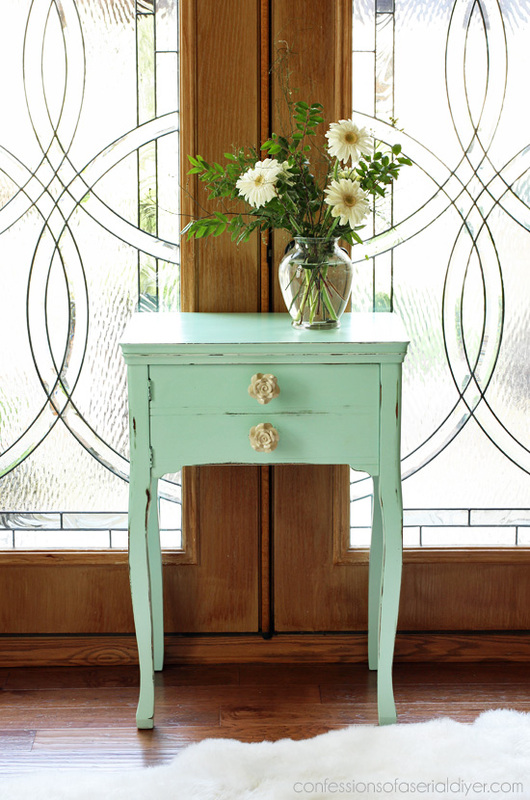 I love these as side tables…I bet yours is pretty! it is so sweet with it’s flower pulls. The color is perfect. Very cute. 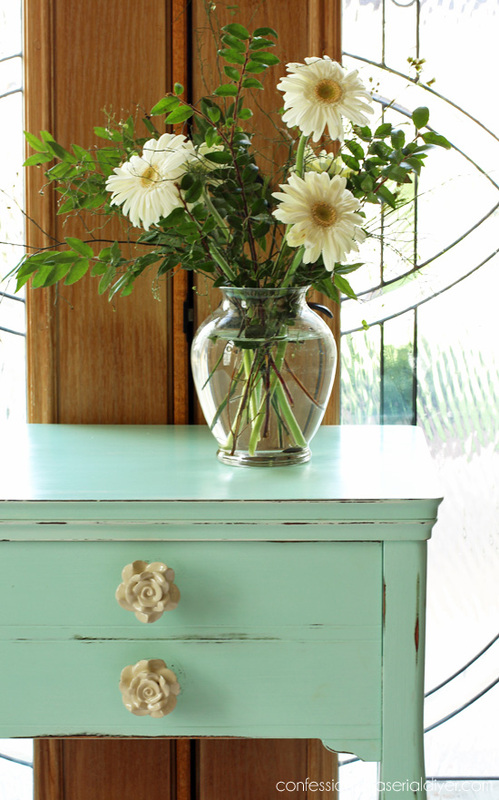 I love the floral knobs. It looks adorable. I too picked up two boxes of those rose knobs last year and just love them. They really make this piece so charming… LOVE IT!!! Just cute as can be. I love the little flower knobs. They are so so sweet looking. The only chalk paint I have used was on my one project and it was some mason jars. I think they turned out fine but now I have a big project I am wanting to try painting two very simple straight chairs fabric covered. 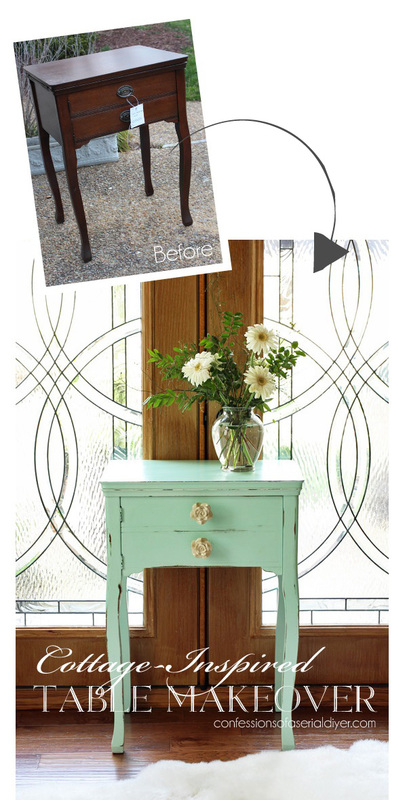 I had planned on using Annie Sloan paint and wax. Which brand would you suggest using for a beginner. I am sorry if that puts you on the spot but I really want a nice job on the chairs they are for my daughter. If you rather not make a choice I understand. Oh my goodness, that little cabinet is so sweet now! 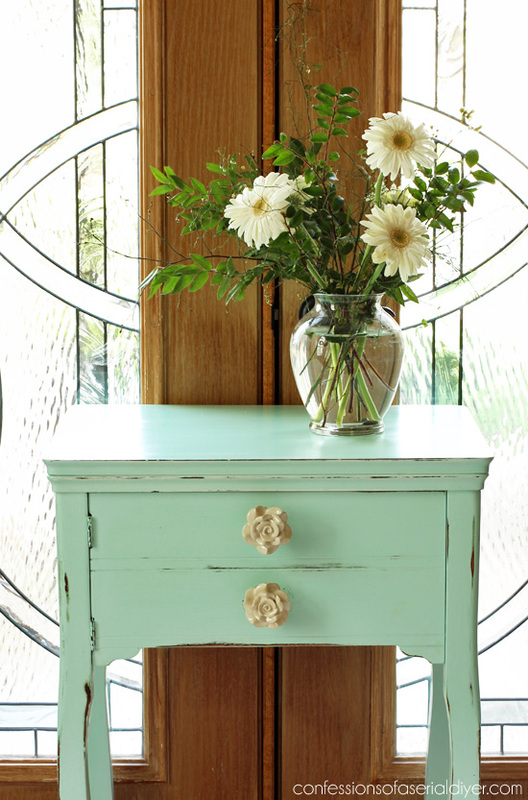 I love, love, love that color and the knobs are pure perfection! The sewing table turned out so nicely! It is charming! Also, I enjoyed all your March Madness makeovers–I admire your creativity and stamina! 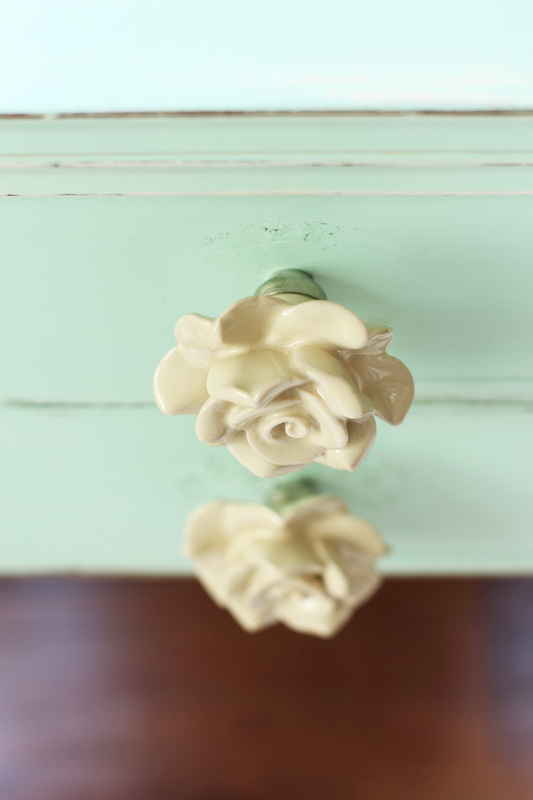 They are perfect for the table and paired with that refreshing (sorry, couldn’t resist) mint paint color. I love this make-over so much! Thanks so much you’re a Doll! Awesome! Thanks you so much! Love this shade of green! You took a risk and it really paid off. 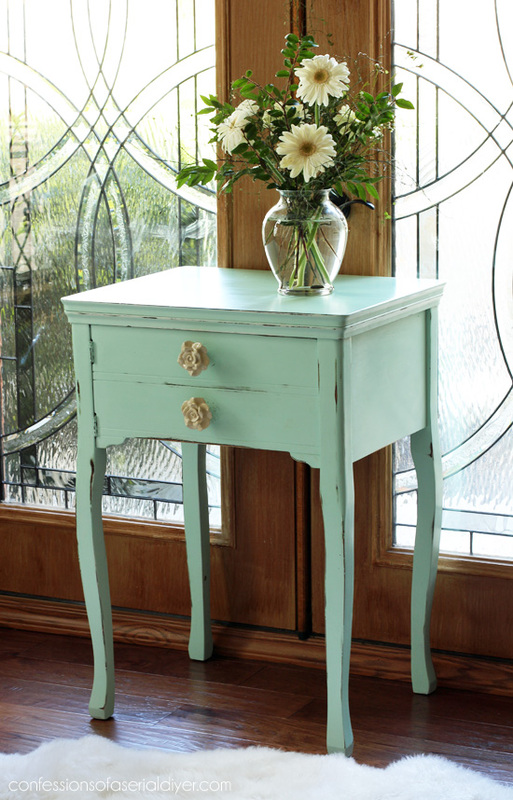 Did you use a shellac-base stain blocker before applying the two coats of chalk paint? 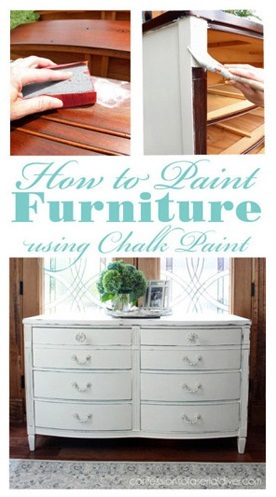 I never know on dark wood if I need to apply a shellac primer when using a light color chalk paint. I recently purchased a dark walnut stained media table from TJ-Max that I would love to paint in a hazelnut chalk paint. Should I prime first? Thanks, Linda! I usually test a spot like one of the back legs to see if is going to bleed through, and this luckily did not, so no shellac was needed first. I would do the same for your media table. Test a back leg and see if it bleeds through. A newer piece shouldn’t, but it wouldn’t hurt to check. If it doesn’t bleed, you can go straight to chalk painting. If it does, give it a couple of coats of spray shellac or a one coat of brush on shellac first.